I just sent this off in the mail to Oklahoma! 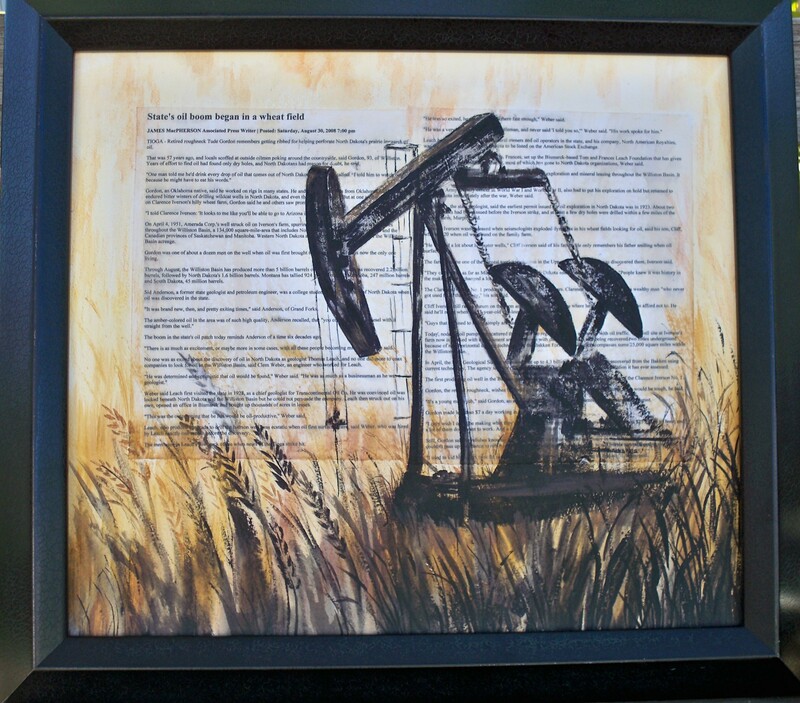 I decided to try something different – not your same old oilwell picture- (there are many good ones out there!) I love the “story” that inspires a painting – so I literally put it in the painting ! It tells about when oil was found in ND, and how it is now happening again in our state. This is a mixed-media painting – sooo much fun!! This entry was posted on November 11, 2010 by dakotablessings. It was filed under Uncategorized . OUTSTANDING piece–love the way you brought this scene to life!! !